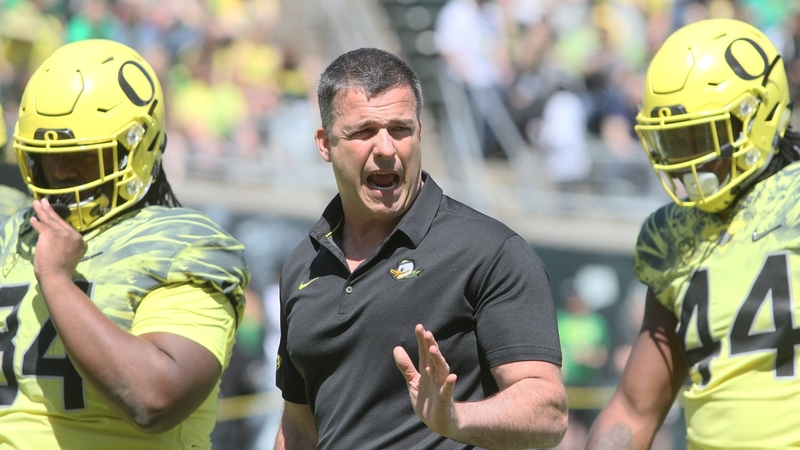 After signing 22 recruits in the December early signing period, Oregon head coach Mario Cristobal announced the Ducks inked three additional players to the 2019 class on the traditional first Wednesday of February signing day. To do so, Cristobal and his staff ventured deep into blue-blooded SEC territory. Familiar turf from his time in Florida and at Alabama identified a candidate at three positions of need and successfully signed each. One year ago Cristobal mostly salvaged a group of highly regarded commits in the wake of Willie Taggart’s departure and in his first full cycle Cristobal has landed a class ranked at the top of the conference and seventh in the country. Courtesy of Oregon Athletics here are the profiles of the latest Ducks added to the flock. Consensus three-star recruit by ESPN, Rivals and 247Sports … Ranked No. 15 overall in the state of Alabama and No. 42 nationally at cornerback by 247Sports … Also tabbed the No. 16 prospect in Alabama and the No. 60 corner in the country by Rivals … Rated the No. 23 overall prospect in Alabama and the No. 60 cornerback in the 247Sports composite rating … A four-year letterman at Spanish Fort High School … Coached by Ben Blackmon … A Class 6A first-team all-state selection by the Alabama Sports Writers Association as a senior … Selected to play in the Alabama-Mississippi All-Star Classic and broke up a pair of passes … Named to AL.com’s Coastal Alabama All-Region team … Came away with six interceptions with 16 pass breakups and 43 tackles … Picked off two passes in three games, including two interceptions in a second-round state playoff win … Selected to AL.com’s All-Coastal Alabama team as a junior … Finished with three interceptions on a Spanish Fort team that went 11-2 and made it to the 6A state quarterfinals … A second-team ASWA 6A all-state selection as a sophomore … Earned second-team All-Coastal Alabama honors from AL.com … Had three pick-6s and five total interceptions while breaking up eight passes … Recorded 34 tackles, helping lead the Toros to a 6A state quarterfinal appearance … Returned an interception for a touchdown in three of the first five games … Part of Spanish Fort’s 6A undefeated state championship team in 2015 as a freshman … Chose Oregon over Alabama, Florida, FAU, Georgia Tech, Iowa, Kansas, Louisville, Memphis, Mississippi State, Missouri, Nebraska, Ole Miss, South Alabama, Southern Miss, Tennessee, Troy and UAB. Consensus three-star prospect by ESPN, Rivals and 247Sports … Rated the No. 38 safety in the class and the No. 44 overall prospect in the state of Georgia by 247Sports … Ranked No. 47 nationally at safety and No. 63 overall in the state by Rivals … Rated the No. 47 safety in the country and No. 64 overall in Georgia in the 247Sports composite rankings … Lettered three years at Morrow High School … Coached by Jerome Weaks … A first-team All-Region 4-AAAAAA selection as a senior … Represented Clayton County in the Georgia Senior Bowl Classic … Selected to the Clayton News Daily’s Super Six High School Players to Watch prior to 2018 season … Earned All-Region 3-AAAAA first-team honors as a junior … Named first-team All-Clayton County … Recorded 67 tackles, seven for loss, with three interceptions and 16 passes defended … Chose Oregon over Alabama, Appalachian State, Arkansas, Boston College, Cincinnati, Colorado, Colorado State, East Carolina, FIU, FAU, Indiana, Louisville, Memphis, Michigan, Middle Tennessee, NC State, Pittsburgh, Rutgers, Syracuse, Tennessee, Toledo, Troy, UAB, USC, Vanderbilt, West Virginia, Western Kentucky, Western Michigan and others. Four-star prospect by 247Sports … Ranked the No. 252 overall prospect in the nation, No. 20 defensive tackle and No. 6 player in the state of Tennessee by 247Sports … Finished as the No. 27 defensive tackle nationally and No. 13 prospect in the state in the 247Sports composite rating … Also rated a top 30 defensive tackle by Rivals and top 15 player in Tennessee by ESPN … Rated a three-star prospect by ESPN and Rivals … Three-year letterwinner at Southwind High School … Coached by Rahnmann Slocum … Played in the 2018 AutoZone Liberty Bowl High School All-Star Game … Named first-team 5A all-state by the Tennessee Sports Writers Association as a senior … A first-team 5A all-state selection by the Tennessee Football Coaches Association … Selected first-team All-Region 8-5A … Named to the Memphis Commercial Appeal’s All-Metro First-Team … Made seven sacks while recording 30 tackles and recovering three fumbles, including a 75-yard fumble return touchdown … Helped Southwind to a state 5A second round appearance … A first-team All-Region 8-5A selection as a junior on a Southwind team that made it to the second round of the 5A state playoffs … Selected second-team All-Region 8-5A as a sophomore … Chose Oregon over Indiana, Kansas, Louisiana, Louisville, LSU, Memphis, Minnesota, Missouri, Ole Miss, Tennessee, Tulane, UCF and Virginia.